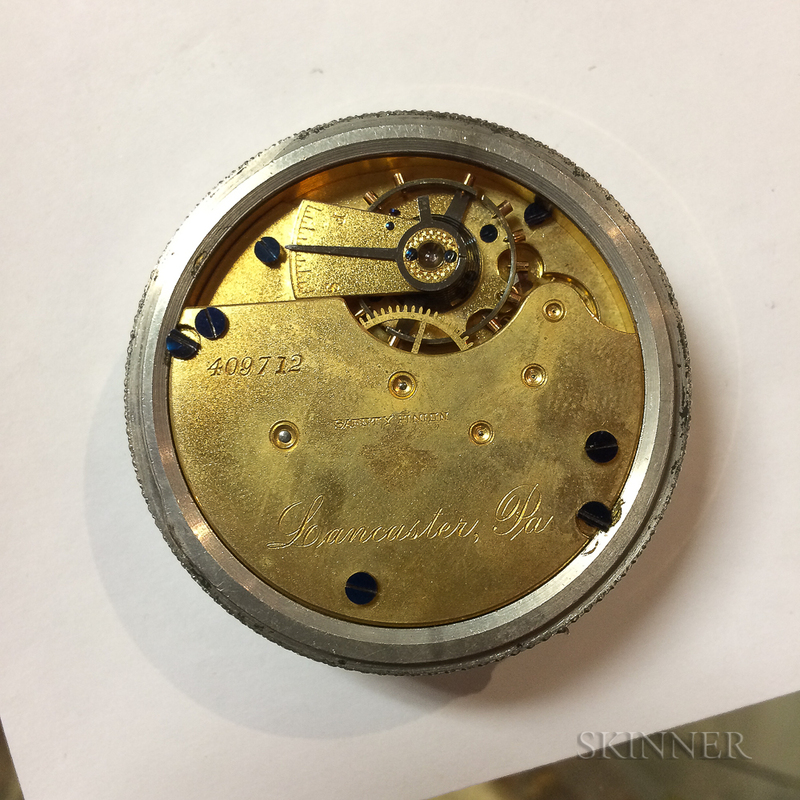 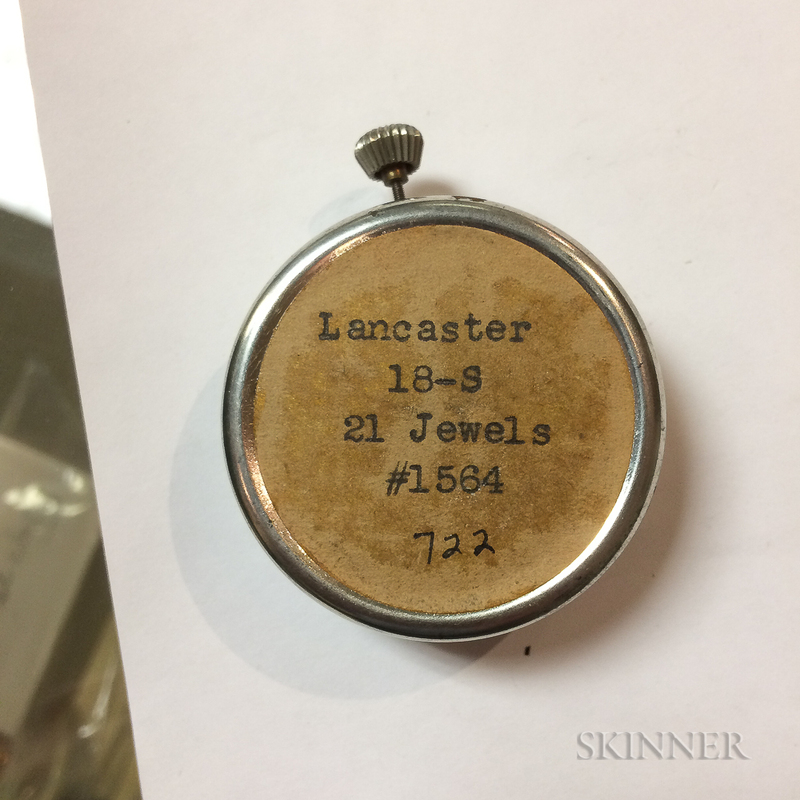 Seven Lancaster Watch Co. 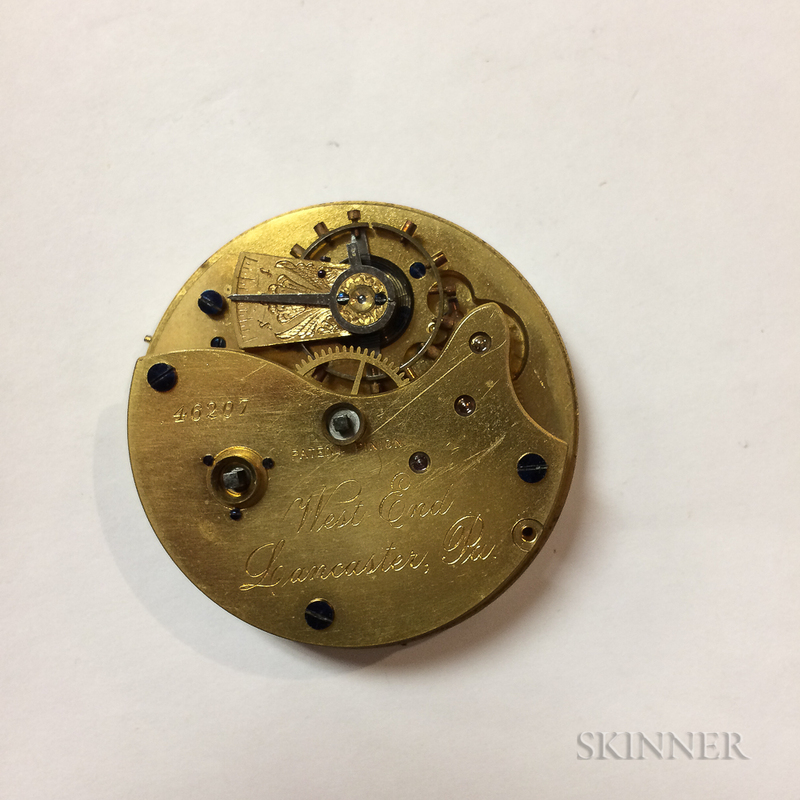 Movements and Dials, an 18 size 21-jewel no. 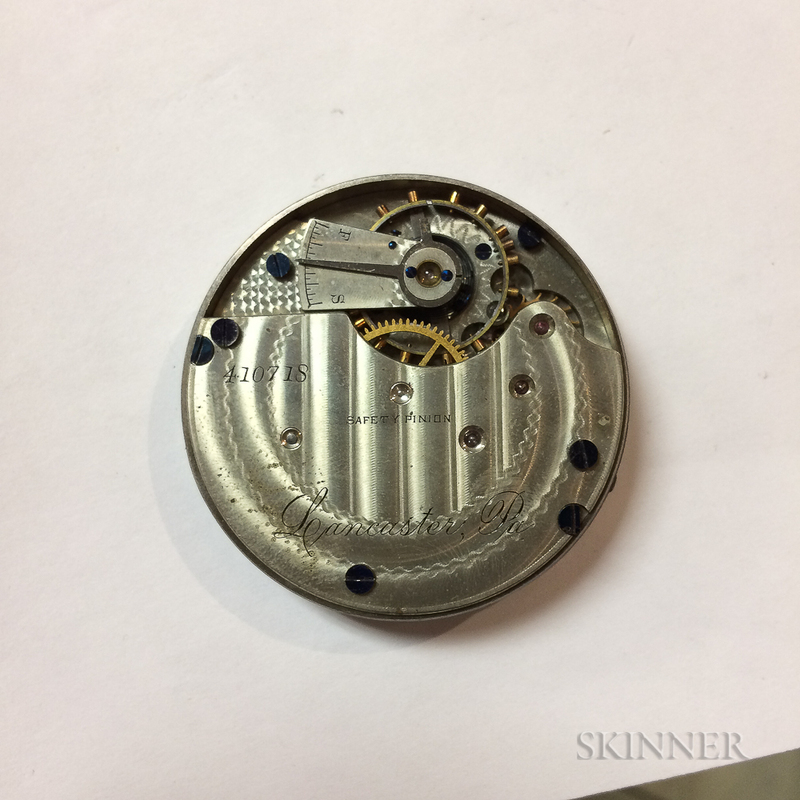 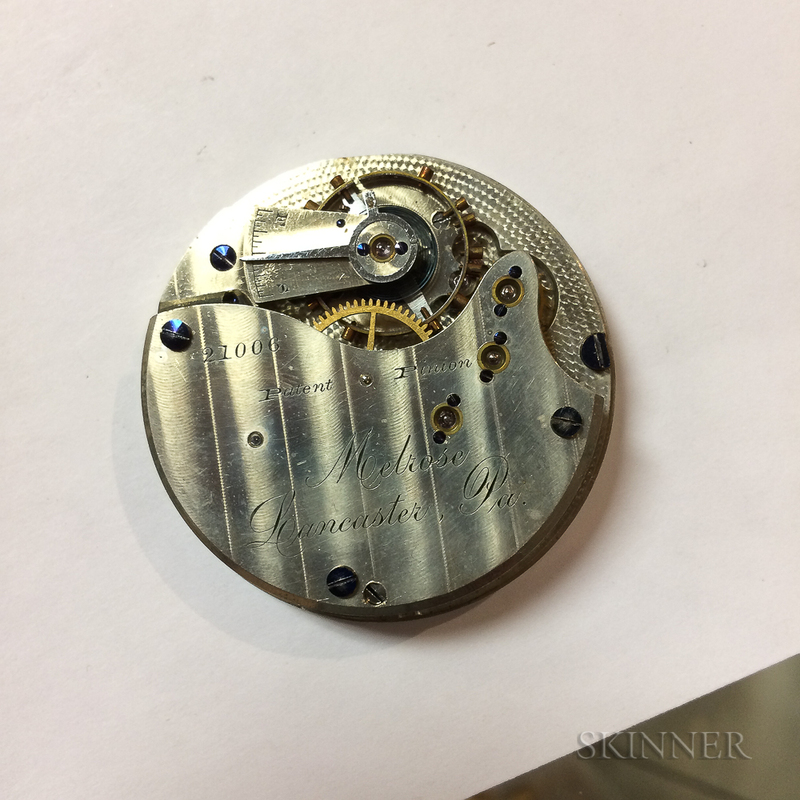 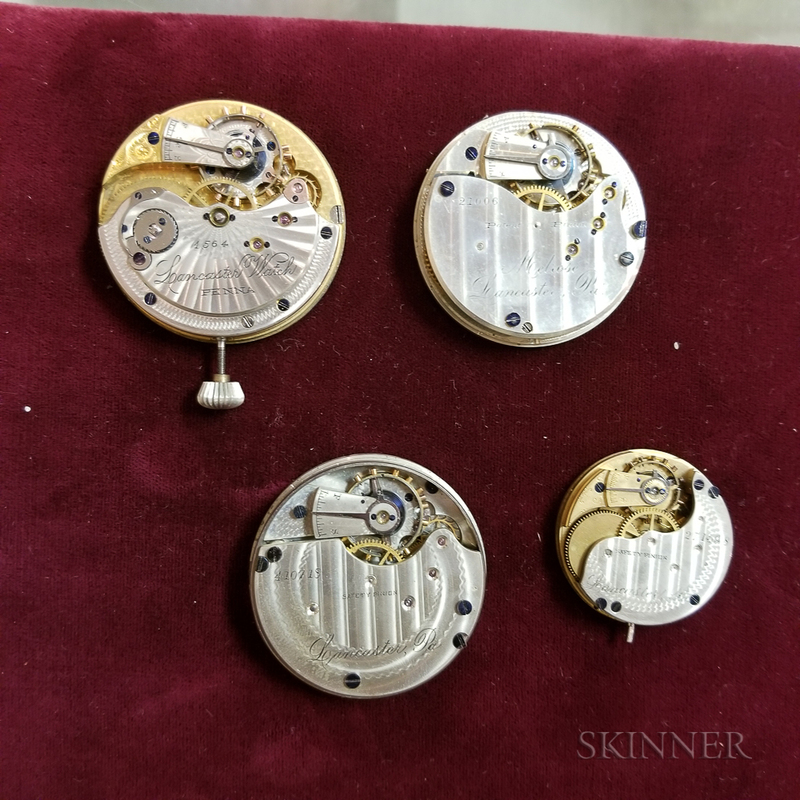 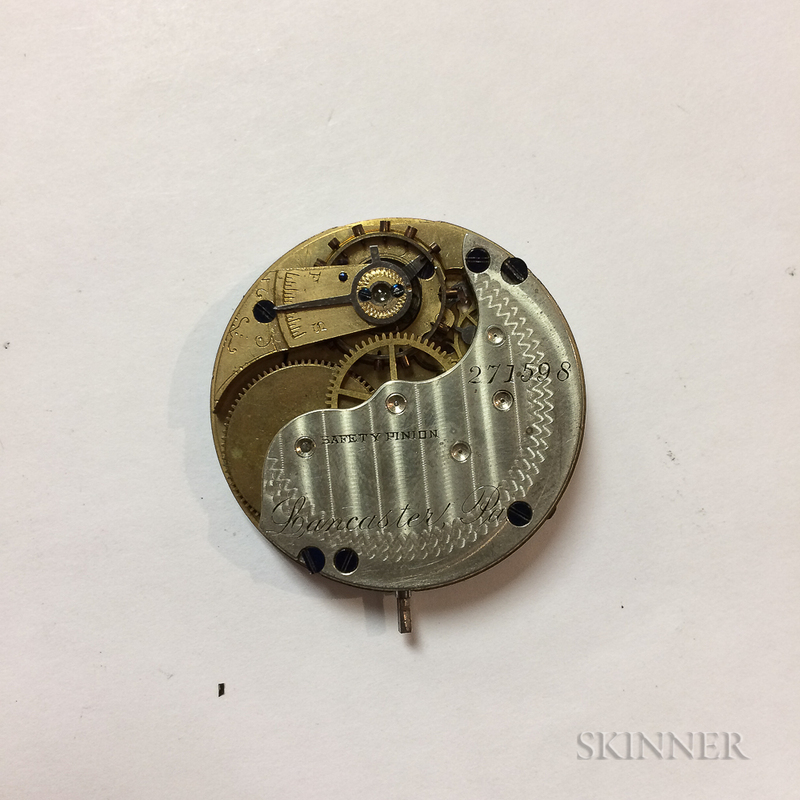 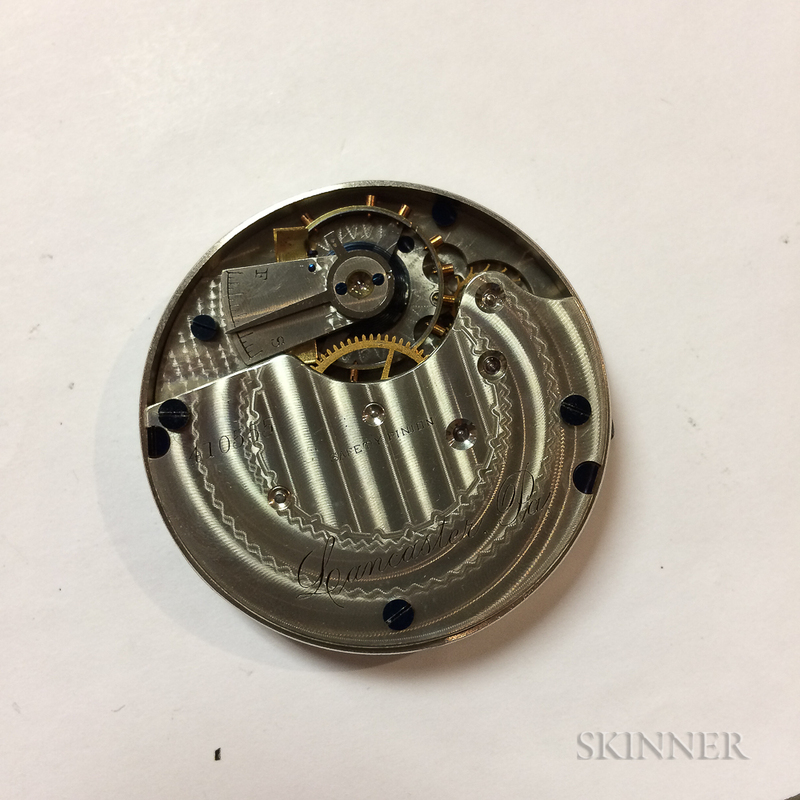 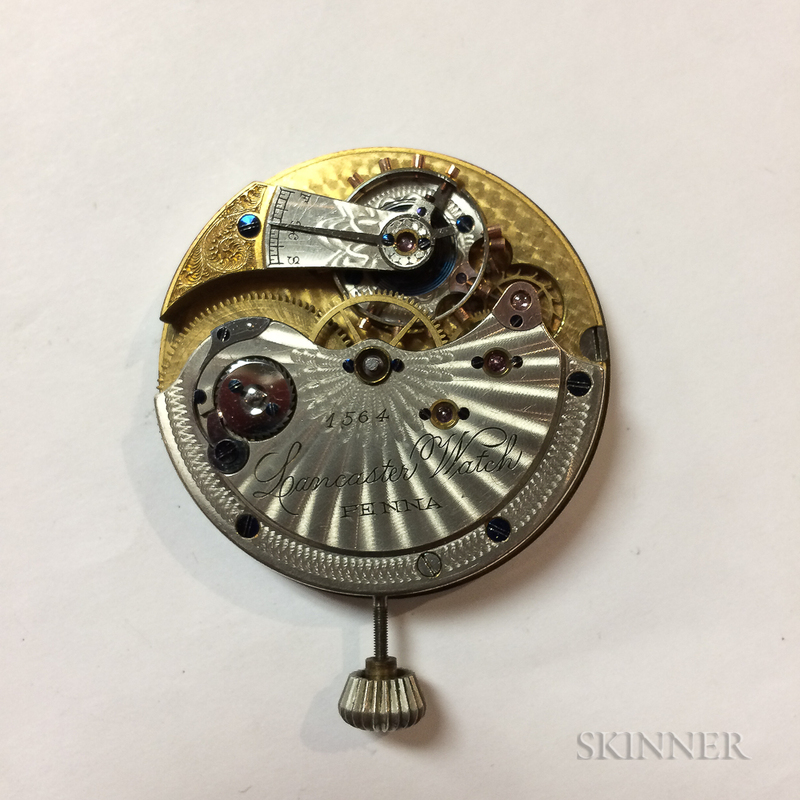 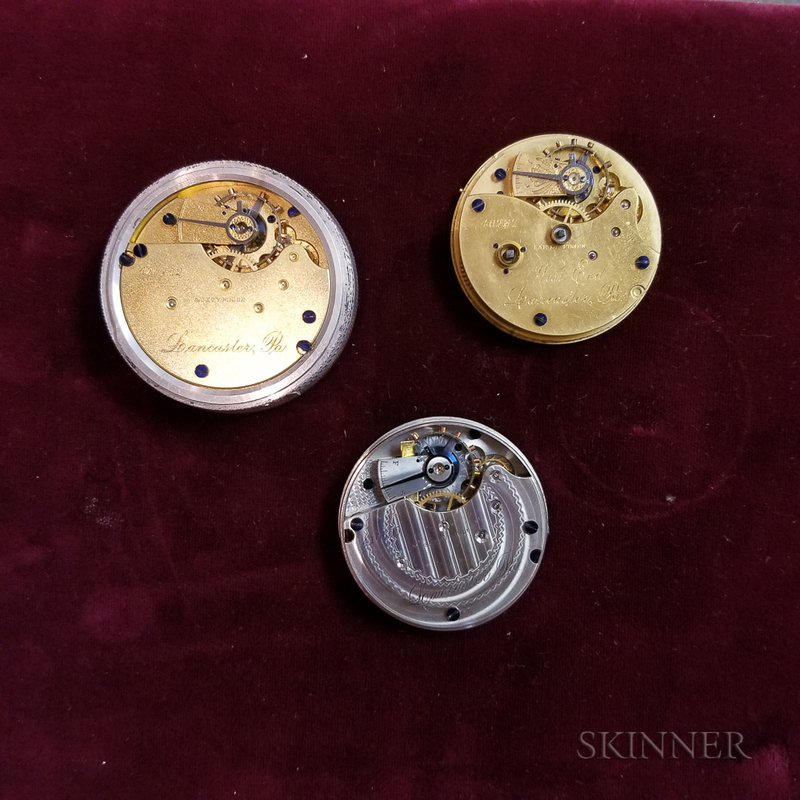 1564 with winding stem, five other size 18, and a size 8 movement.